The purpose of the Ella May Wiggins Memorial Committee is to validate and remember the life, efforts, and enduring spirit of Ella May Wiggins as a mother, textile worker, union organizer, and protest balladeer. We will strive to establish a significant and proper physical memorial honoring her life, labor, sacrifices, and unifying ideals for Gaston County’s textile workers and community on which she had a profound and lasting impact. We hope to provide a positive vision of Ella May as Gaston County’s mother-heroine, thereby underscoring both Ella’s and Gaston Countyʼs place in world labor, industry, economic, and social justice history. You can now order one of these brand new "Be an Ella!" bumper stickers for only $10! 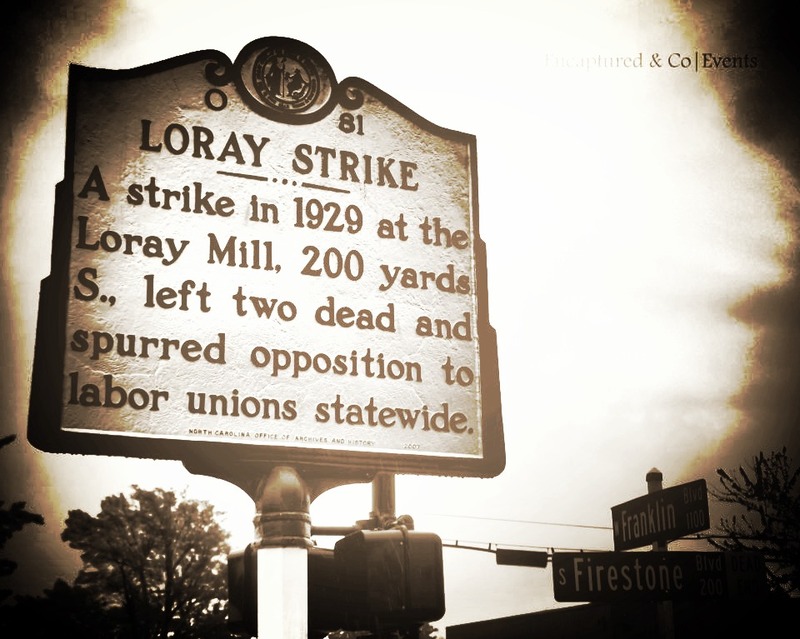 These Links provide scholarly information about the Loray Mill, the strike, and Ella May’s ballads. Ella May was born in the heart of the rural Smokey Mountains in Sevierville, Tennessee on September 17, 1900. Her parents, James and Katherine May were subsistent farmers. Everyone in the family had to work on the farm in order for the family to survive. The family harvested corn, yams, cabbage, beans, and apples. Ella’s father would sometimes go hunting and catch rabbits and opossums. Despite the hard work and the meager existence there was pride found in mountain folk such as the May clan. Those living in isolation in the mountains, descendants of such pioneers as Davy Crockett, had an independent resilient spirit.